We are delighted to announce that Liberata won at this year’s Institute of Revenues Rating and Valuation (IRRV) annual Performance Awards. 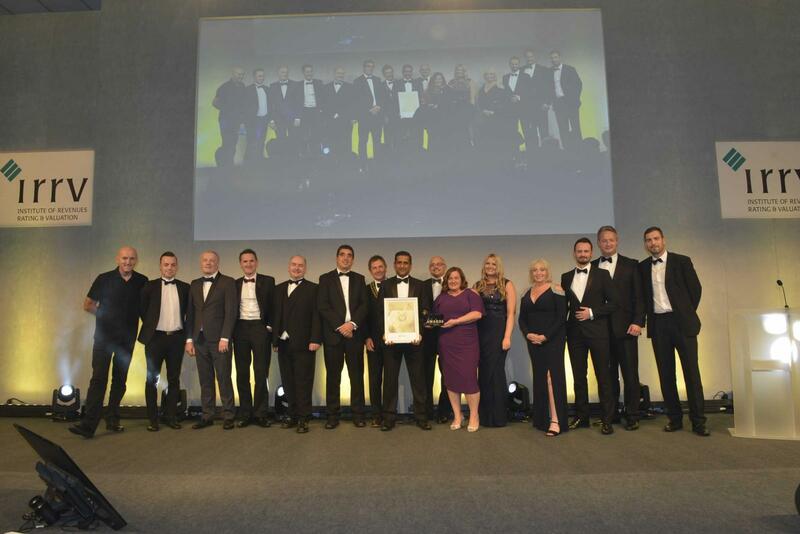 Liberata’s Non-Domestic Rate (NDR) Shared Service team won the ‘Excellence in Non-Domestic Rate’ award, with Liberata also being named a finalist in two other categories. The ‘Excellence in Non-Domestic Rate’ award recognised Liberata’s work in providing expert, reliable, resilient and efficient services, helping clients achieve consistently high revenue collection results. Liberata’s NDR experts handle transactions from multiple clients across the country every year, providing an excellent customer experience across all areas. With long-standing partnerships with clients such as London Boroughs of Hounslow, Bromley, Wandsworth Hillingdon, North Somerset Council, Burnley to name a few, Liberata’s service makes a vital contribution to the economy. Meanwhile our expanding ‘Maximisation of Business Rates’ service has been utilised by over 40 local authorities including the likes of Manchester City Council, Plymouth City Council and most recently Coventry City Council. This offering is helping local authorities on average generate a combined £16.5 million of additional rateable value per year and ensured the accuracy of their NDR base as rates retention approaches. Liberata was a finalist in the ‘Excellence in Innovation (Channel Shift)’ category for its work in developing a wide-ranging digital service transformation programme for Burnley Council. Liberata was also a finalist in the ‘Excellence in Social Inclusion’ category, for its work with North Somerset Council in delivering an alternative scheme that bought new working practices and innovative approaches to how the authority engages with its residents.